One of the most beautiful Mexican legends recounts that the people of Aztlan, north of what is today Mexico, had to leave their homes by orders of their gods in search of the promised land. 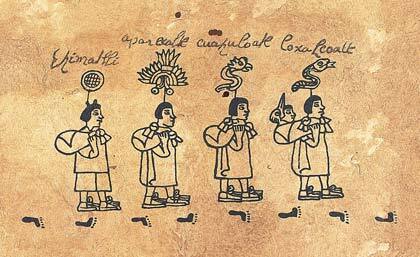 It is believed that the Aztecs, whose name means the people of Aztlan, began to emigrate in the 6th century. The future Aztecs or Mexica, formed by the Nahua peoples, on orders of their god Huitzilopochtli, the Sun and War god, had to abandon the place where they lived and start a pilgrimage to find a place where an eagle perched on a prickly pear cactus, devouring a snake would be. Huitzilopochtli told the Aztecs that when they found the eagle it would be the signal that they had reached land where they would build the most powerful empire in Mesoamerica, Middle America.